Despite being a mobile game, this is one of the biggest updates made to Fizz Filler in recent months. 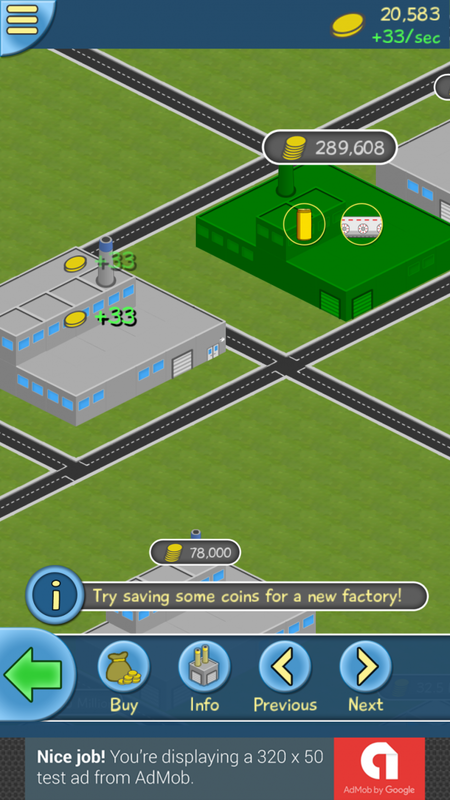 It brings with it a new factory traits system, which adds so much more variety to factories. No longer are they clones of each other with exactly the same upgrade prices. 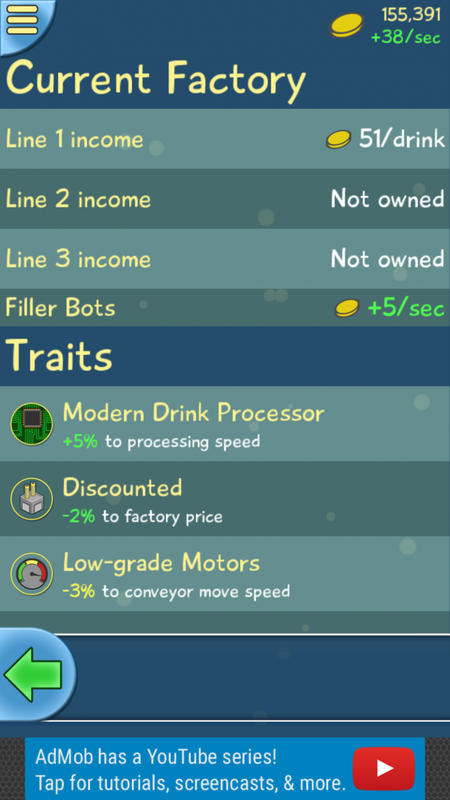 In later updates the system will be expanded to add unique upgrades to the factories that hold certain traits, but lets not get ahead of ourselves. Traits is not all that 1.7 has to offer. It also brings an overhaul of the world map, switching from a flat,boring top-down map to an isometric one. Later updates will be adding new visuals, such as delivery/armored trucks travelling along roads based on which factories have such upgrades. 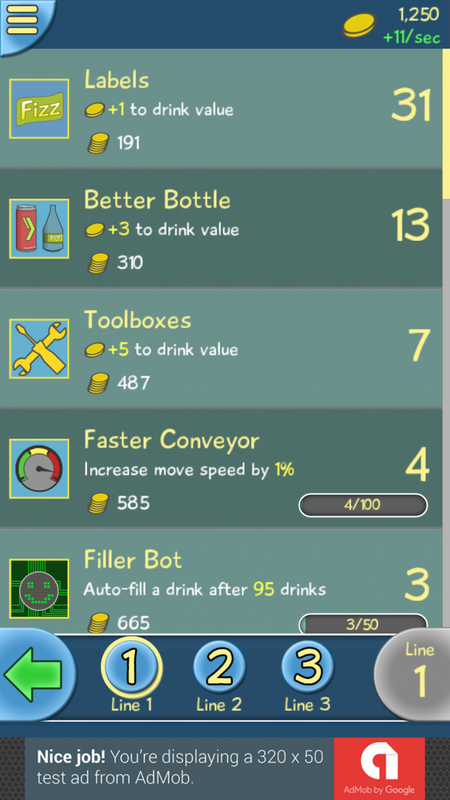 There is also a new 'Factory Info' screen which allows you to get more details about the current or selected factory, such as the value of its drinks, its filler bot income and most importantly, its traits. Multiple saves - No longer are you limited to just one save! Lastly, I'd like to thank everyone who has tried and/or stuck with the game through its ups and downs, as well as those that have provided valuable feedback, which in many cases has helped to improve the game. Hopefully you'll all enjoy the the new update as much as I have enjoyed making it! 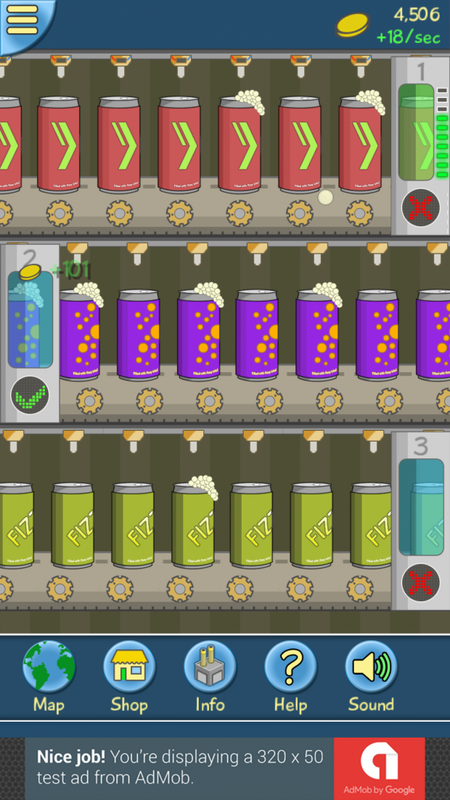 If you haven't tried Fizz Filler yet you can grab it on the Play store completely free via the button below!